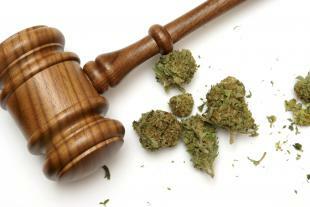 Marijuana Legalization: What Should Businesses Do? As of today, Oregon has joined three other states–Alaska, Colorado, Washington–and Washington DC, to allow possession and cultivation of recreational marijuana. Sure, this may be a date of celebration for some, but many businesses and employers are left wondering how these changes might affect their options in implementing drug-testing policies. There may be confusion, but staying informed on state and federal marijuana laws will allow you to maintain a safe and productive workplace. Can you still drug test? Yes! The new laws have not restricted employers’ ability to drug-test their employees. Businesses that are federally-funded are still required to comply with the federal ban on marijuana use, and all businesses have the right to implement a wide array of policies on drug-testing and workplace impairment. Drug abuse in the workplace is a serious HR issue, potentially affecting the health and safety of others in the company. Make sure that your drug-testing policies are up-to-date and compliant with the new laws. OpenSesame provides courses on how these new laws affect a company’s drug policy, what options are availabe to you as an employer, and measures employers should take to stay compliant with state and federal laws. In order to avoid misunderstandings, notify your employees of any new policies or changes that may occur. Remember: you have all the power, but make sure these expectations are clear to everyone, or you may end up facing a lawsuit. Whether or not you live in a state that has legalized marijuana, this is an issue that you will be addressing in the near future. While abiding to the law, employers should prioritize and uphold their responsibility of maintaining a safe and productive workplace for all of their employees.